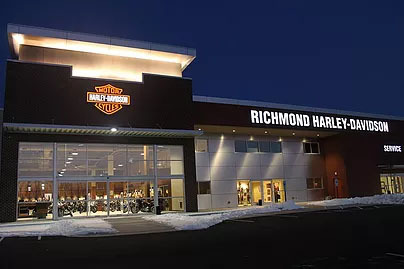 Richmond Harley-Davidson is a premier destination dealership in the mid-Atlantic. Their award-winning staff and service department take pride in being a community-focused business offering unparalleled customer service. General Manager, Kevin Horton, knows that his existing customers are well cared for by the Richmond H-D team. To continue to help his team members and their local community thrive, he is focused on growing the business through repeat and referral customers. He knows that the fastest (and best) way to grow is to take great care of his customers and continue to communicate with them after the sale, and throughout the buying cycle of prospective new customers. Kevin uses many avenues to maintain those open lines of communication with his customers. One of those methods is through the Marketing Automation component of the Firestorm Email platform. Each month, emails are sent to Kevin’s customer automatically the day after those folks visited his new or used inventory pages at RichmondHarley.com. Those auto-triggered emails invite customers to come by the dealership, effectively creating the industry’s first-ever pro-active appointment setting system for Richmond Harley-Davidson. By sending out weekly emails through the Firestorm email system, Kevin connected the Firestorm Onboarding system to his email marketing program. Those onboarded customers who visited Richmond Harley’s inventory pages of their website will get an automated nurture campaign email the very next day, inviting them down to the dealership. From the appointments set through those automated emails, Kevin’s team was able to sell THREE additional units in the last two weeks. And, the emails were done automatically. That is some impressive email marketing that WORKS!